Backed by US advisers and coalition airstrikes, Syrian Kurdish and Arab fighters have begun advancing on the Islamic State stronghold of Raqqa. Meanwhile, the top US general met with his Turkish counterpart to plan for future operations in Syria. 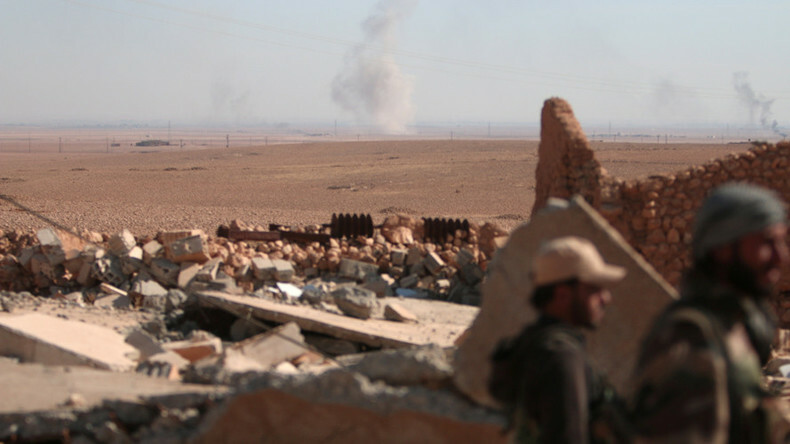 US jets bombed Islamic State positions (IS, formerly ISIS/ISIL) on Sunday, as the Syrian Democratic Forces (SDF) advanced approximately 10 kilometers southward from Ein Issa, a town some 55 km (30 miles) north of Raqqa, the self-proclaimed caliphate’s capital. The alliance of predominantly Kurdish fighters and Arab tribal militia announced on Saturday their intent to encircle Raqqa while the Iraqi security forces battled IS in Mosul. The SDF has been supplied by US weapons, including anti-tank missiles, and about 50 US Special Forces operators are accompanying the advancing troops as advisers and forward air controllers, according to local media. The Kurds have named their advance on Raqqa “Wrath of Euphrates,” or “Euphrates Anger” in the Western press translation. The proverbial elephant in the room is Turkey, which launched its own incursion into Syria in late August and considers the Kurdish militia to be a terrorist organization. Since operation “Euphrates Shield” began, Turkish-backed militants have ousted IS from a stretch of territory along the Turkish border, while clashing with the Kurdish-led SDF. That might explain the surprise visit of US General Joseph Dunford, chairman of the Joint Chiefs of Staff, to his Turkish counterpart. Dunford met Turkish Army General Hulusi Akar at the General Staff HQ in Ankara on Sunday, reportedly to discuss Turkey’s possible role in the attack on Raqqa. “The coalition and Turkey will work together on the long-term plan for seizing, holding and governing Raqqa,” Dunford said following the meeting, according to the Pentagon. “Obviously as a close ally, we really just want to make sure that we’re completely tight as we work through some challenging issues,” he added. General Akar “exchanged views” with Dunford on the presence of Kurdish forces in Manbij, according to the Turkish newspaper Daily Sabah. The liberation of the strategically important city from IS in August prompted the Turkish intervention, as Ankara does not want to allow the YPG fighters in northern Syria to link up with the Kurdish enclave at Afrin. Last week, Akar traveled to Russia along with Turkey’s intelligence chief Hakan Fidan, sparking concern among Ankara’s NATO allies, reported Al-Monitor. The Turks reportedly tried to persuade Russia to allow the Turkish-backed forces to attack Al-Bab, a strategic town northeast of Aleppo held by IS. Following Dunford’s visit, the Pentagon announced that it would be sending a high-ranking US officer and staff to work alongside the Turkish General Staff as liaisons for the US-led anti-IS coalition. The officer would report to General Joseph Votel, head of CENTCOM. “We want to be totally transparent about this with our Turkish ally,” Dunford said. 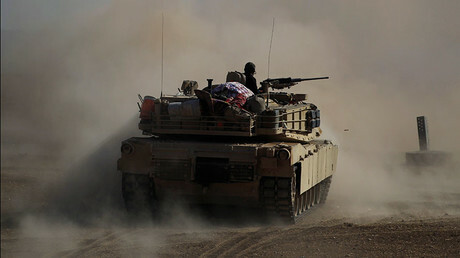 Actually encircling the city might take two months or longer, US officials in Washington told Reuters on Monday.